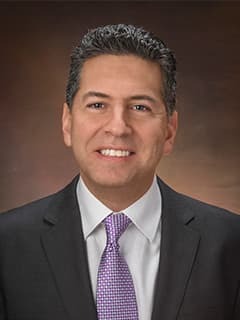 Fernando A. Escobar, MD, is an attending radiologist with the Department of Radiology at Children's Hospital of Philadelphia. Medsinge AN, Escobar FA, Yilmaz S, Park JK, Crowley JJ (2019 Jan). A Novel Technique for Removing a Fibrin Sheath from a Mediport Catheter in the Pediatric Population. Pediatric Radiology, 49(1): 141-145. Doi: 10.1007/s00247-018-4243-4. PMID: 30159592. Electronically published: 2018 Aug 29. Shin D, Yannes MP, Close ON, Escobar FA, Fitz CR, Crowley JJ, Yilmaz S. Pediatric tunneled central catheter placement at a single tertiary-care center by Interventional Radiology: One year outcome analysis. Abstract presented at RSNA 2015 101st Scientific and Annual Meeting, Chicago, IL, December 3, 2015. Medsinge A, Escobar F, Crowley J. ''A novel technique for salvaging malfunctioning central venous catheters by percutaneous stripping. Abstract presented at ESPR 2015 52nd Annual Meeting and 38th Post Graduate Course, Graz, Austria, June 2-6, 2015. Medsinge A, Vaughan K, Kar E, Srinivasan A, Escobar F, Tadros S. Congenital Thoraco-abdominal Extralobar sequestration (broncho-pulmonary foregut malformation-hybrid lesion): A diagnostic dilemma. Poster presentation at Society for Pediatric Radiology (SPR) 58th Annual Meeting, Bellevue, Washington, April 28 May 1, 2015.